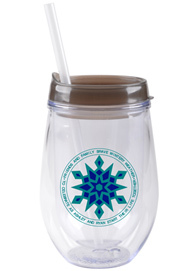 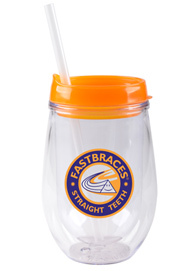 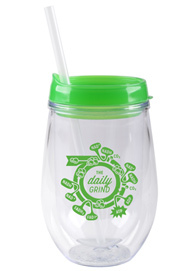 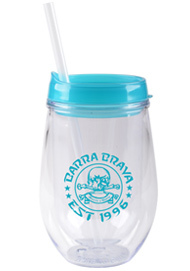 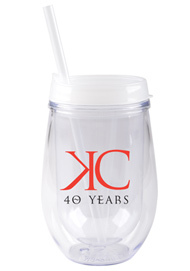 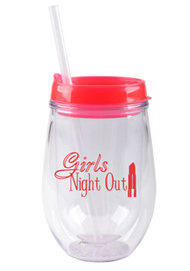 Personalized Bev2Go - Double wall Acrylic 10 oz stemless wine glass with tight closing lid, straw and slider. 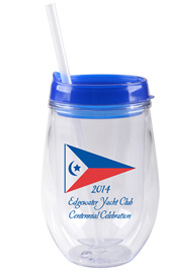 Perfect for events where a traditional wine glass cannot be used. 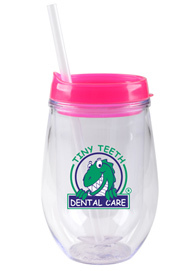 Available in 8 different lid colors .